As Price Chopper/Market 32’s Vice President of Public Relations and Consumer Services, Mona Golub oversees public, government and community relations, customer communications, sustainability, and Price Chopper’s Golub Foundation for the progressive 134-store chain. 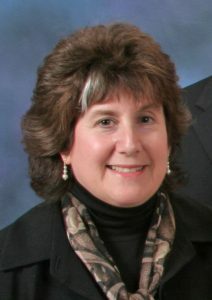 In addition to producing signature events and orchestrating major announcements for the company, she is the driving force behind many of the unique, personalized partnerships that have earned Price Chopper national recognition for its community involvement, customer connectivity and social responsibility. Q: What path led you to working in PR—did you come directly or from another field? A: I double majored in languages back in college and always thrived on communications-related work. As for my career, I learned the essence of our business, both in the office and in the stores, before finding my niche in public relations and the other facets of my job. Q: What other jobs and personal experiences have affected how you practice today? A: My civic work – on boards and in running a non-profit organization – has helped me to anticipate, gauge and relate to public reaction. Having performed various jobs – in operations, merchandising, and consumer services – has given me an in-depth understanding of the business, which today helps me research, frame and reference issues as the company’s spokesperson. My regular interface with the community has helped me to refine my approach and the way in which I craft our positions and choose my words. Q: What is something you’ve learned by working in PR that civilians would not know? A: That sometimes what you don’t say is more powerful than that which you do say. Q: What single key piece of advice would you offer a new practitioner? A: If you believe in the message you are delivering, it will show. Q: What is your pet peeve when dealing with the media? To hear more from Mona and our other panelists, please join our Women in PR Panel on Friday, July 27 from 7:45 to 9:15 a.m. at URBAN CO-WORKS, 433 State St. in Schenectady. Click here to register now.